To enjoy the maximum use of your shower room area you might find sliding shower doors are the perfect answer. Being able to concertina as well as hinge, sliding doors require less floor area to open in to. 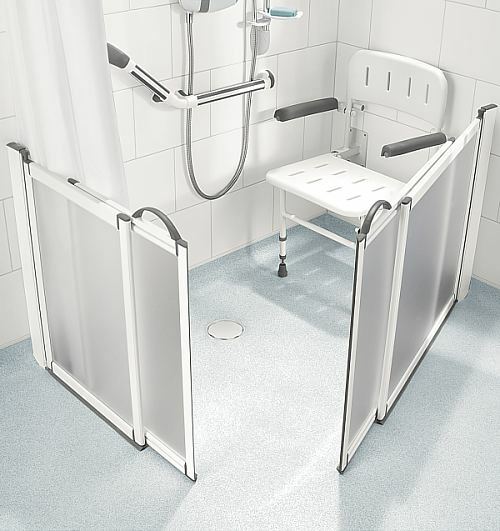 Half height shower enclosures facilitate carer assistance and are wheelchair user friendly. The half height sliding shower door is perfect if carer assistance is required. 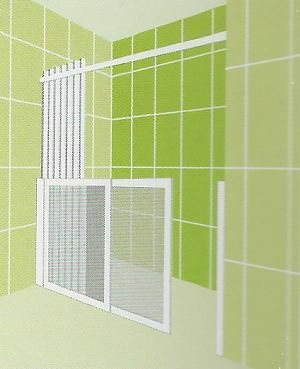 The open and airy ambience of a half height shower enclosure also makes showering a pleasure if a wheelchair or shower seat is used when compared to the claustrophobic environment of a full height enclosure. 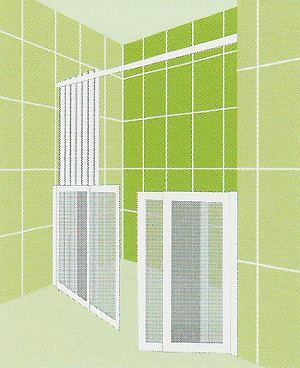 Supreme half height shower doors and screens are available to suit a range of standard sizes but can be manufactured to almost any size and configuration to suit your specific needs. Supreme shower doors and panels can be purchased on their own or as part of a bespoke shower package which can include shower tray (Slimline 35 or Mendip) or wet room floor, shower curtain with rail and shower equipment. Help is only a phone call away, so please don't hesitate to ask for any assistance you require. 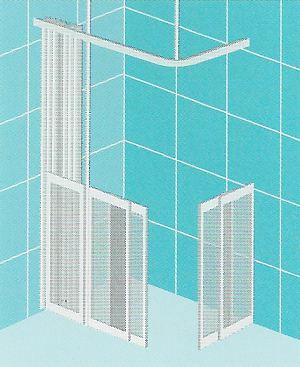 Please note: Prices are for half-height sliding shower doors ONLY in the configurations shown. 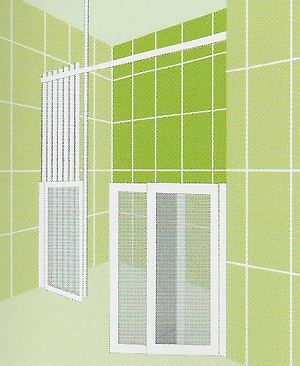 Shower trays, shower curtain and curtain rails are shown for illustrative purposes only but may be purchased separately. 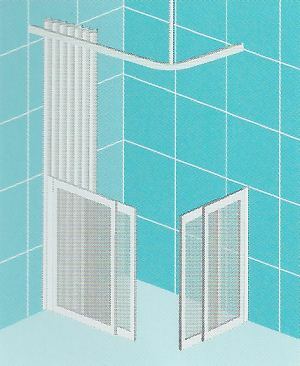 A pair of sliding shower doors that pivot from adjacent supporting walls and meet at the corner. Suitable for use with corner shower tray or with a wet room floor to create a half height corner shower enclosure. A sliding shower door for an alcove that pivots from adjacent supporting wall closing to form a half height alcove shower enclosure. Suitable for use with low level shower tray or with a wet room floor to create a half height alcove shower area. 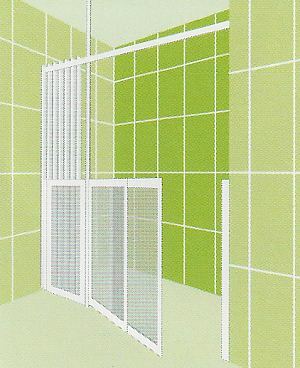 A sliding/pivot half height shower door and fixed shower screen for an alcove to create a half height shower enclosure. Suitable for use with low level shower tray or with a wet room floor to create a half height alcove shower area. A pair of sliding/pivot half height shower doors for an alcove to create an enclosure. Suitable for use with low level shower tray or with a wet room floor to create a half height alcove shower area. A hinged pivot sliding half height shower door supported from a floor to ceiling pole and a 400mm fixed half height shower panel. either hand they create a half height alcove shower enclosure. Suitable for use with low level shower tray or with a wet room floor to create a half height alcove shower area. A fixed 400mm half height shower screen with floor to ceiling support pole with a pair of half height pivot sliding shower doors meeting at the corner. Suitable for use with corner shower tray or with a wet room floor to create a half height corner shower enclosure.